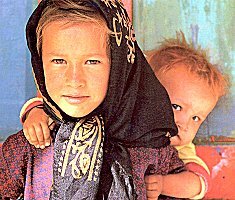 Iranians are a people of considerable ethnic and linguistic diversity, heirs to the many peoples that invaded the Iranian plateau over the millennia. 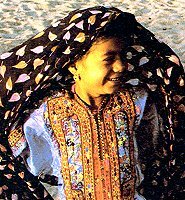 The Indo-European speaking (or Aryans), Arabs, Turks, Mongols and others all contributed to today’s racial and ethnic mix. 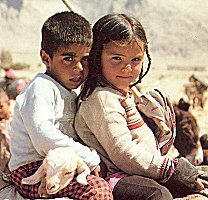 The Iranian minorities include the Azaris who form the largest minority at 25%, the Kurds at 9%, the Arabs at 4%, the Lors at 2%, the Turkmens at 2%, and the nomads (the Bakhtiaris, the Baluchis, the Qashqais...), together with a few groups along the Caspian Sea, such as the Gilani, the Mazandarani and the Taleshi. The national language of Iran is Persian (Farsi). Other Iranian dialects include Turkish Azari in Azerbaijan, Turkish Turkmen in the north-east, Arabic in Khuszestan, Kurdish, Baluch, Bakhtiari, and Lor. 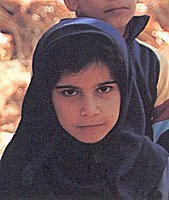 Education is not compulsory; however, most Iranian families ensure that their children are provided with at least a basic schooling, and 95% of all Iranian children (more than 18 million) currently receive primary or secondary schooling, with over one million attending University. Houses in these villages, whether of mud, brick, stone or wood, tend to be simple and utilitarian. In the major towns and cities the traditions of the old and new exist side by side, with a broad spectrum of classes from the wealthy industrialist to the poor rural migrant. 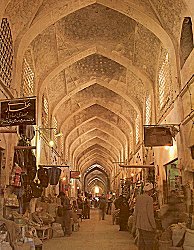 The bazaar has always played an important role in the economy and social life of the city. In the broadest sense of the term, the bazaar is an organised system grouped into guilds. In an Iranian bazaar, the shops are usually grouped by profession; thus one alleyway may be occupied by carpet sellers, another by goldsmiths and yet another by coppersmiths. It acts as an interface between the town and the country, and has close links with the clergy. Iran became an Islamic republic in 1979 with the fall of the last monarchy, and its political, economic, and social institutions are now ruled by the principles of Islam. Some 98% of all Iranians are Muslims and over 90% of these belong to the Shi’ite branch of Islam. Other religious minorities include Sunnite, Christian, Bahai, Jewish and Zorastrians. In 1980 it began a long war of attrition when Iraq entered Khuzestan. It was a war that killed hundreds of thousands on both sides and ended with a cease-fire in mid 1988. Only in the past few years has Iran started to recover from the aftermath, and at the beginning of the 21st century, this vast country with its enormous economic potential is once again on the verge of becoming one of the most powerful states in the Middle East.